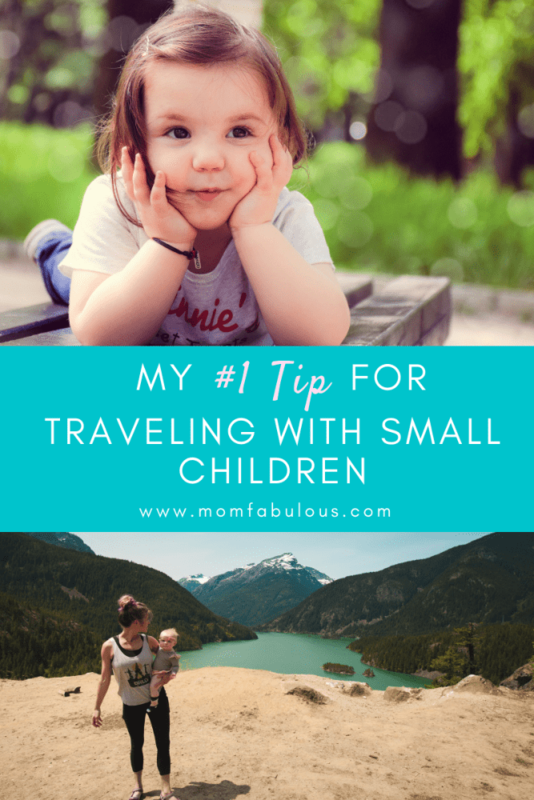 Whether you travel with your kids every week or only once a year, I’m sure you have heard your fair share of tips. I’ll briefly mention the obvious ones because you’ve probably heard them a million times (or at least ten). These apply to car rides, public transportation and airplanes – any kind of travel! Pack extra snacks and drinks. Because hungry kids can be tough to deal with, especially in a public place. And if you get frustrated, you may need a mommy snack too. Food seems to alleviate problems, no matter how small or how grand. Bring extra diapers and clothes. Accidents will happen. Things will be spilled. Places will be dirty. Don’t stress out when you can bring along additional clothes. Don’t skip nap/rest time. Lack of sleep will make everyone in your family go cray-crazy. Allow your little one to rest with either a nap or quiet time. Take advantage of that time by planning the rest of your day and the following morning. You may be surprised to hear that I have only 1 tip to offer. It’s not because there aren’t other valuable tips or important elements of traveling with children. I think this one tip is the most important because with it, everyone will enjoy the vacation; without it, everyone will be miserable. Engage your children wherever you are. This sounds way easier than it actually is. Adults have naturally modified their reactions to be content in all situations. You can read a book while you wait for your flight. You can watch people while waiting in line. You can listen to other conversations in a restaurant. You can read signs, maps, guide books and pamphlets. But kids don’t have that capacity yet. So they need to be entertained and engaged. Pull on your creativity cap and grab your imagination goggles! You can literally do this anywhere: airport, airplane, in the car, on a bus, in a hotel, in a restaurant, etc. The rules are simple. You secretly pick an object that everyone can see, such as the black and white “Bathroom” sign. You say, “I spy with my little eye something that is black.” Your children get to ask questions that require a yes/no answer until they guess what you spied! Have your kids close their eyes while you hide an item. After you finish, they can open their eyes and begin looking for it. Whoever finds it first gets to hide it next. Bring along a stress ball or handkerchief for this game. For smaller kids, a beloved toy is something they may actually want to find. This works well in airports, hotels and parks. Paper, crayons, colored pencils and markers can be magical. Ask your child to draw what they see while you travel. Their perspective from the back seat or 3 feet high or interpretation of a work of art can be fascinatingly interesting. Don’t want to bring along paper and markers/crayons? Give your child an old digital camera or a disposable camera. Allow them to take photos of things that they find interesting. When you get home you can print the photos so that your child can have a personal keepsake album from your trip. Don’t want to bring along paper and markers/crayons or a camera? An iPad will do the trick. There are plenty of free coloring apps. You could also print their drawings from the app and combine in a folder for a keepsake album. Sing Songs with Hand Motions. This may seem obvious, but young children are full of imagination and creativity! They just can’t always harness that power well. Help them by crafting stories together (this is extra helpful when you need you kids to sit still or be quiet). Start by asking the location: mountains, cave, beach, desert, forest, boat, etc. Next ask how many characters. Then if they are boys, girls, or a mix of both. Then allow them to name the characters. Hint: It’s helpful to only have 1-4 characters! And making the story about your family is extra intriguing. This is a tricky category. Because you want your children to be entertained but you also don’t want to lug around a heavy bag of toys. Here’s my recommendation: pick 3-5 of their favorite toys to bring along. But take those 3-5 toys away from your child 7 days before your trip. That will make them fresh and new once they see them during your travels! Swap a few toys for things that can be used on the iPad/tablet instead. Coloring books, real books, and educational games are easily accessible via apps. Even their favorite photos of people or places can be enticing. Snap a few shots of their bedroom or download photos of family members on the tablet. Blow up toys are amazing. They are tiny to pack but can be so much fun to play with! Think beach balls, blow up animals or inflatable bowling. Need fresh ideas? Head to your local Dollar Store. All the toys are only a dollar! And since they’re cheap, you won’t be as worried about them getting broken, lost or damaged. Plastic jewelry, mini figurines, toy animals, jump ropes, cars and more!